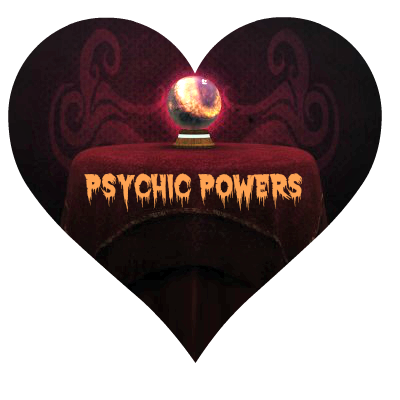 Can you imagine having psychic powers? Some people are naturally more sensitive or gifted than others, but I have found that with a little encouragement, just about everyone has some ESP. If you cannot imagine it, then it cannot be!! - So you had better get to work on your imagination! At times we all shows signs of having a sixth sense. You may well put it down to your imagination, but then you find that what you imagined actually happened. Of course it varies from person to person. And there are plenty of professional sceptics about. These are people with closed minds, yet they will happily do a mind power course which calls on these abilities under the guise of expanding their imagination. Your imagination is not only a vital part of your being. It is the essence of your creative ability and is the seed of your psychic powers. In fact, by further developing your imagination, you will find that you have latent skills and abilities which many would find amazing. When you read a book, your imagination supplies the pictures and places you in the story, (or the story in you). A vivid imagination is also your path to creativity! Where would an artist be without their imagination to project their art into reality? Your imagination is also your portal to your extra sensory perception. However, whilst your imagination is your portal to the psychic realms, it is only that, they are not one and the same. There is a fine line separating the two. Discriminating between the two is simply a matter of experience. Imagination emanates from within yourself, whilst your sixth sense is received from without. Put it this way, if you were a radio transmitter/receiver, imagination is what you send, whilst your sixth sense is what you receive.  Now most Psychics do not normally walk around in a permanent state of heightened extrasensory perception. One learns to control ones state of awareness, in the same way as we all change our level of concentration to suit each occasion. For those few poor souls who are stuck on maximum sensitivity all the time, life must be difficult in the extreme, trying to discriminate between the psychic world and the physical world at the same time.  There are a great many people who are being treated for mental disorders who are just as sane as the rest of us, but whose psychic powers are very strong. For the rest of us, we can live in the "normal" physical world, with the added advantage of intuition, perceiving auras, and receiving whispers from guides when the occasion demands. Trust me, there are times it is good to not have psychic powers and to be able to just switch off. However, personally, I would find not having my psychic ability akin to losing my sight or hearing. From time to time of course, we will become aware of a non-physical presence making itself known. To an aware person, these presences are our companions in life - we catch glimpses of their auras and hear their whispers every day. To people who choose not to be aware, the messages and whispers are still there, however they manifest themselves as "coincidences" or signs. When these signs fail to penetrate the fog of denial, the signs become dreams, which become progressively more dramatic until the message sinks in! Note: If you are hearing voices and they go away when you tell them, you are in control – and you are ok. However if you feel an overwhelming compulsion to obey the voices - get help - now! Angels - Spiritual entities not attached to any individual who intercede for us at a spiritual level when we ask for help. Spirit Guides and Helpers - Our spirit guides are spiritual entities who have attached themselves to us personally to guide us through life. I believe that this arrangement is symbiotic - whilst we are evolving from a corporeal life, our guides are evolving through a non-corporeal life. Ghosts and Departed Spirits - Spirits of the departed which are earthbound - that is, are still attached to this plane of existence and have not made their return to the whole (The Light). Expanding your Awareness into the Astral Plane - In some forms of deep meditation we can drift towards out of body experiences and on certain occasions, our awareness can extend beyond the "normal" three dimensional world. Astral traveling is simply extending you awareness beyond your physical self. Unless you have consciously given your body over to another spirit - even then you are still in control - your awareness and body are still connected. The influence of the Almighty - No definition here - this is for your own personal experience of God, All That Is, The Light, The Divine, Universal Intelligence, Allah, Brahman, The Buddha, The Tao, etc. All of these explanations are valid! They are metaphysical concepts. Attempts to define such phenomenon will fall short because definitions will be a reflection of your human perceptions rather than the spiritual reality. Definitions are man-kinds way of trying to create "God" in his own image! The reality of the "Spiritual World", "Astral Plane", "Causal Plane" or whatever, is far beyond the limited three dimensional perceptions of we mortals. Any "Reality" we can imagine is a projection of our own psyche. Metaphysics brings with it its own disciplines and realities. Often I find people trying to explain a phenomenon in logical terms - and failing to, when there is a quite simple metaphysical explanation. This is because metaphysics is a branch of philosophy concerned with explaining the fundamental nature of being and our perception of the world, that is, using our psychic powers. Clairvoyance - the ability to see auras, guides/angels, etc. This is the popular misconception of being psychic. The term "see" is better expressed as "perceiving an image of"! Clairaudience - the ability to hear voices of the guides, angels, etc. This type of perception is hearing within the mind, although sometimes it can be startlingly real. Clairkinetic - the ability to feel the guides, angels, and beings in other dimensions; getting a physical sensation in or on the body to indicate that another presence is making a connection. Clairsentient - This is the much vaunted process of "full body channeling", or allowing a non-corporeal entity temporary use of your whole body. Perception is the key to psychic powers. Perception is not just how we think about things, rather it is what happens when we turn off the thinking process. It is ‘open-mind-ness’ where our minds are open to "see" on other levels. It is the realm of the spiritual, the mystic, of wisdom. That is what you are getting yourself into!